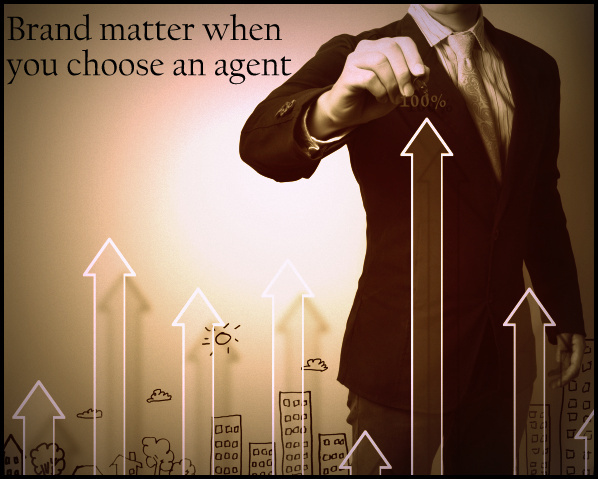 Does brand matter when you choose an agent? Presently, there are infinite agents who are engaged in the real estate market but their degree and quality of work differ from each other. Usually, the local agents have secret tie ups and work on profit sharing basis. This is the reason why you manage to save a few pennies while appointing a local agent. As a buyer or a seller you need to make a choice; whether you want to go for a local broker or you want to go for a brand-name real estate company, where you can have a trustworthy and enduring experience with your investment. Trust factor- Brand-name real estate companies are typically more trusted by consumers. They offer a sense of security to the consumers who are especially buying or selling their properties for the first time. For the first timers local agents are a big ‘no’ as investing in a property is not a cakewalk. You need a trusted agent who will guide you throughout and will not make false provisions in order to mint money. Transparency- Branded agents always ensure transparency in their work. In case of a local agent, you cannot blindly hand over your house papers and trust him. While in case of an authorised brand-name real estate company the agents are specially trained to keep proper follow ups with their customers before and after signing the deal. No hidden costs- Unlike a local broker whose main aim is to draw maximum commission from his customers, a branded agent lays down the cost structure in the very first meeting. A local broker tends to charge a low commission from a known party while a brand-name real estate company treat each and every customer equally. Though their costs are high but their services truly justify their worth. Provide a comfort level- A local broker may try to impose his views and suggestions in order to quickly crack the deal and catch his next customer. But the case is different while dealing with a branded agent. He ensures to give you proper time, support and assistance; providing full worth for your money. You can take your own time and comfortably sign the deal.